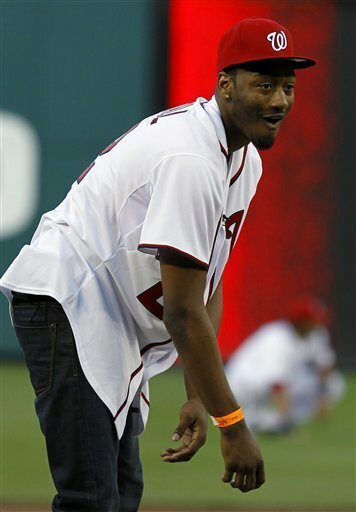 A few days ago, Washington Wizards point guard John Wall threw out the first pitch before an Orioles-Nationals game at Nationals Park. It just might be the worst pitch I have ever seen (and I have pitched before, with disastrous results). To the videotape. Well if you can't even hit the dirt, that's just purely disgraceful. But somewhere, Carl Lewis is smiling (actually that may be a stretch, Trent Edwards definitively enjoyed it).